How sure are we that The Purposeful Primitive - Mind Masters (eBook) will work for you? Simply fill out the form below and put The Purposeful Primitive - Mind Masters (eBook) to work for you right now. Obviously, we would go out of business if The Purposeful Primitive - Mind Masters (eBook) didn't work, the way we said, right? With the promise of a full refund if you're unsatisfied, you have nothing to lose by trying The Purposeful Primitive - Mind Masters (eBook). Go ahead and try it today. "Marty Gallagher has written the Great American Novel of Strength." Two psychological geniuses have crossed my path during my life journey: Jiddu Krishnamurti and Aladar Kogler. Each man stakes out one extreme of the Brain Train conundrum. Iron Mentor Bill Pearl was once asked what is the single most difficult muscle to develop? "The brain." He said only half joking. Aladar Kogler is a mysterious Hungarian largely responsible for formulating the Iron Curtain Brain Train methodology used for applied athletics. Kogler and his cohorts were the Mind Masters behind the Big Red Machine back in the halcyon days when communist athletes were routinely decimating and dominating opponents at World Championships and the Olympic Games with yawning regularity. With the full weight of state sponsorship behind their sport's apparatus, no expense was spared to produce showcase athletes that could and would demonstrate to the World the superiority of totalitarian societies. Of course we now understand that this system had a slimy underbelly: athletes were treated as patients, jacked up on steroids and testosterone then discarded like human rubbish when the first flaw or performance decline was detected. The rest of the athletic world was suspicious yet ignorant when robotic communist athletes, stuffed to the gills with the finest performance enhancing drugs known to man, beat the rest of the naive world stupid. Later, when the advent of drug testing came to pass in the early 1970's, the Red Medical people created designer drugs that were stealthy and undetectable. The state supported sports machines resorted to every illegal trick in the book. The Reds created an army of paid professionals to compete against pathetic amateurs, real people that had to hold down day jobs in order to survive. It was the most un-level of playing fields. "I would venture to say that I have read every book pertaining to weightlifting over the last three decades, and I have probably read the majority of the articles in this area. There are two things I can say unequivocally about what I have read. 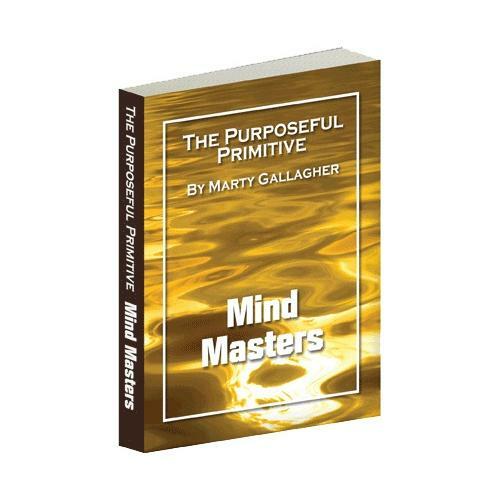 One, Marty Gallagher is the best writer in the world of physical fitness and strength, bar none, and two, Gallagher's newest book The Purposeful Primitive is the best manuscript ever produced in this field. Teeming with esoteric information on training, biomechanics, nutrition, and sport psychology, The Purposeful Primitive is a wealth of information that every serious lifter needs to read. You are going to like this book. NO! You are going to LOVE it. I promise you that. It's Gallagher's best work, and that means it is strictly world class." 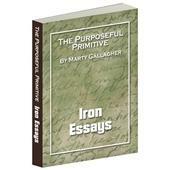 "I really only have two things to say about Marty Gallagher that bear on his new book, The Purposeful Primitive. The first is that there are two classes of writers in powerlifting: 1) Marty Gallagher and 2) all others. The second is that one day, ten years ago, Marty called to say he knew a Russian guy who he thought might be a good writer for MILO, so we invited the guy to submit an article: It was called Vodka, Pickle Juice, Kettlebell Lifting and other Russian Pastimes, the author was Pavel Tsatsouline, and rest, as they say, is history." Marty does a wonderful job bringing out the art and science of training, extracting many of the critical universal and specific principles (guiding rules to action—social, emotional, mental, physical and spiritual) that are applicable to living a productive life in general, and in training for health, fitness and sport, specifically. In addition, I like the way Marty personalizes the lives of outstanding athletes and shows how they applied these fundamental, can't-miss principles in their training to help them become the best they could be in their sport. My recommendation: if you want to achieve something 'great in your life', add The Purposeful Primitive to your training library… yesterday." "For those who buy or judge reading material by size, number of pages, volume, or distance able to be thrown and cause damage, Marty has your back on this one. For the intellectual athlete who actually thirsts for knowledge and sees content as King, you will get 30 years of genius and experience in the Iron Game mixed with the passion and ability of Hemmingway all wrapped up in one book and the result is The Purposeful Primitive. From me to you—Go buy the book and enjoy!!" "Marty Gallagher is a brilliant writer who thinks deeply about subjects he knows and loves. His manifesto/encyclopedia contains a ton of wisdom, one-of-a-kind role models, awesome color photos… a truly fascinating read." 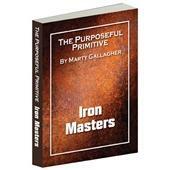 "Marty Gallagher has written a most interesting book that contains not only telling first hand biographies from powerlifting's heyday, but the routines and mindset of the top practitioners of the strength pursuit. His style is rich with anecdote, at the same time being right on point regarding the many divergent paths to the attainment of fitness. The basic truths underlying those paths have been distilled down to a certainty, allowing the reader to intelligently compose their own program. Good job from one who sought intensely over many years to grasp the essence of power and fitness and most importantly loves what he does." "What can one say with certainty about the author of this book—Marty Gallagher? Nothing other than the facts that he has 'been there and done that' as an 800-plus pound squatter! That he has written over a thousand articles about fitness and nutrition in the published print media (not to include his amazing blog). That he is not just a genius, but the best interviewer and storyteller going. And that he has not only truly trained the world's strongest athletes, but that he has distilled the most useful information from 15 of the foremost weight lifters, bodybuilders, psychologists and 'bodymaster' nutritionists of the last half century into a form that can be used by anyone from overweight, exercise-adverse beginner to world champions in their sports. From Olympic lifting to power lifting and bodybuilding, whether muscle gain or fat loss, from cooking to supplements, from changing exercise and eating habits to molding the psychology of a champion (whether one is even remotely interested in competition or not), Marty has covered it all. I only wish I had had a book like this when I was growing up and trying my best to get bigger and stronger. Marty has demonstrated, without question, that he is the current and undeniably best 'trainer of champions' and 'ultimate guide to physical—and mental—transformation.' This book not only provides the simplest instructions and cheapest financial and lifestyle requirements, it is absolutely the single best book ever written on being the best you can be physically and otherwise." "Absolutely magnificent. What a breathtaking book on a life with iron. Marty Gallagher delivers an outstanding, comprehensive book with a writing style worthy of Hemingway himself. This book takes you on a journey through the iron-history of the great ones and in the most sophisticated way Marty presents probably the best ever written material on life, iron and mental fortitude. This book is impossible to put down once you start reading it. It should be the first read of any who aspire to lift weights and be healthy. There are not enough words in the English language (or Danish for that matter) to describe how excellent this book is. It is an absolute must to any Strength & Health enthusiast. I give it my highest recommendation!!" "Gallagher takes the gems of the greatest strength athletes in history and distills the keys to success for all of us. After reviewing profile after profile after profile of great strength trainers in history, Gallagher goes the next step: he sums up their approaches then shows that all of them are right. As a person trained in the basics of theology, I understood immediately Gallagher's great point: it's not 'either/or' when it comes to strength and body mass, it is 'both/and'. I live by the coaching point: 'Everything works...for a while,' and Gallagher breathes flesh and blood into this principle. There is so much more to this book, of course. The mental training section blends the Western and Eastern approaches to the mind game of training. Again, we find 'both/and', but Gallagher also spends a lot of time detailing how to incorporate these tools in one's training. But wait, there's more! There is a section on cardio training for strength athletes that really makes me more comfortable with this notion of 'doing cardio'. It's nice to see the return for the widely misunderstood teachings of Len Schwartz's Heavy Hands. Moreover, we see a commonsense approach to this whole overhyped field. The section on diet towards the end of the book again reflects the idea of both/and'. It is simply this: refreshing. Gallagher gives clarity to the calorie conundrum. Yes, every diet approach works, but Gallagher shows us a way to link them together. Truly, this man of experience understands that success leaves footprints and every approach is worthy of discussion. Oh, this book is a joy. I put this book next to Tommy Kono's Weightlifting, Olympic Style for sheer fun and delight and love of training. I am convinced that I will probably keep reading The Purposeful Primitive in bits and snips for years. It's just fun and funny while pounding into the reader the 'secrets' of advanced training. Many won't like the message. The secrets involve training really hard and really heavy." "The Purposeful Primitive both inspired me, and also challenged some of my long-held notions about strength and athleticism. In the foreword, Pavel calls Marty Gallagher his mentor, and once you read this book, you'll understand why. The Purposeful Primitive is the most significant strength-training book I've read in 10 years." "Marty's literary style intrigued me and I could not put the book down!! I was drawn into being educated by a powerlifter that made points that would make me a better high school teacher/coach as well as an excellent Olympic weightlifting coach. I highly recommend The Purposeful Primitive as a must read." "Marty Gallagher has convincingly presented the concept that successful people in all domains 'stand upon the shoulders of those who have gone before them.' He has accurately indicated that most of the fitness gurus and elite athletes of today are chasing after the golden fleece instead of following the tried, true and scientifically and empirically proven and validated principles of physical training, cardiovascular training, nutrition and psychology. Marty characterizes this by stating; 'Old school methodology is the modern solution for achieving true physical transformation.' Readers will sink their teeth into the substance and procedures of the masters found between the covers of The Purposeful Primitive. The Purposeful Primitive is an enlightening read, filled with great insights into the masters of the last century in Olympic Lifting, Powerlifting, Bodybuilding, Cardiovascular Training, Nutrition and Psychology. Great job Marty Gallagher, master of: writing, powerlifting, physical training, cardiovascular training, nutrition and psychology." "WOW! My old friend Marty knocked this one out of the park. I was so fascinated I could not put the book down. These are exactly the routines most of us experienced in those days. It brought back a lot of memories. For all you young powerlifters out there who want to build real power like we did it in the old days this is the book to get. Thank you so much Marty." "When Marty called and asked if I could pose for a few photos for his new book, I knew I didn't have to worry about associating myself with anything he was writing. I knew it would be a quality book focused on proven, basic training principles and based on Marty's vast store of real, first-hand knowledge. What I didn't know until receiving my copy and really giving it a close look, was that I was stumbling across a small role in one of the most comprehensive, well-written, and above all else, entertaining, books on weight training that's ever been written. I have a pretty extensive strength training library, and Marty's book belongs on the top shelf with Dreschler's Weightlifting Encyclopedia, Starr's The Strongest Shall Survive, McCallum's Keys to Progress, and McRobert's Brawn. I realize now how lucky I am to have been in the right place at the right time to be a small part of Marty's crowning achievement and lasting contribution to the Iron Game. Thanks so much Marty for not letting these great stories and this wealth of information fade away with the old masters!" 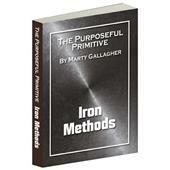 "I enjoyed Marty Gallagher's new book and particularly liked his 'resurrection' of the methods of the Iron Masters. So much of that Old School training wisdom has been forgotten or discarded in our modern era. The training philosophies of men like Bill Pearl and Ed Coan are timeless and grounded in principles that have stood the test of time. These philosophies are based in the idea that first and foremost, hard and sustained physical effort must be implemented for a protracted period. This requires using lots of Old School discipline. I agree with Marty's premise that to modify the human body, to improve it, to make it more muscular and leaner, requires real work. Too many individuals in this day and age want to believe that some miracle method exists that can magically bypass the requisite pain and struggle. By spotlighting men from a simpler era, Marty shows that real gains can be gotten from methods that need not be unduly complicated. I would hope that modern readers could absorb some of the iconic lessons he relates in his own unique way." "I have been studying the industry for 20 years. Marty is in a class of his own. Combine his fitness knowledge with a unique talent for writing and one has an unbeatable combination." "Once again, Marty Gallagher has proven that he is powerlifting's most articulate and informative writer. The Purposeful Primitive is an outstanding read, with credible and essential information for beginners and elite lifters alike. I will be honored to promote the book at my gym and the many contests we host each year." —Dr. Spero S. Tshontikidis, R.A.W. United, Inc.
"Wow! Marty Gallagher did a tremendous job! Not only was it a very interesting and entertaining read, but it can be used as a reference manual. 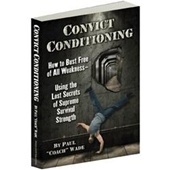 A must read for anyone interested in fitness and or strength." 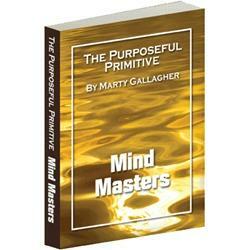 "Marty Gallagher has laid out simple tried and true old school principles that yield results. I believe that is what this book is all about; results. In a world full of bells and whistles, this book is a great reminder of what training should look like. 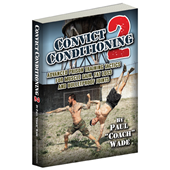 I think this is an outstanding resource for physical transformation. 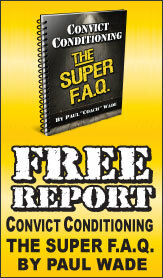 I would recommend this book to anyone who is serious about building a real-world body."